Desert Path gained his second victory last night when winning the Sky Bet Top Price Promise Handicap at Windsor, the course where he had won previously. Ridden by Robert Havlin, he kept on well to take the lead in the last 100 yards from Candidate and we are pleased for his owner Prince Khalid Abdullah. We are excited to announce that our new website is live! 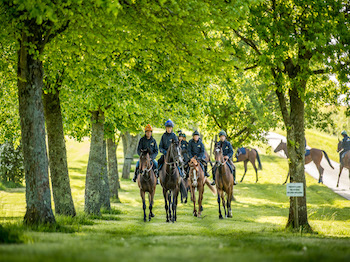 The site includes information on the outstanding facilities, members of the team, and the horses in training. We invite you to use the site regularly to keep up to date with our latest news and ownership opportunities.